In this book, you’ll find 21 simple and powerful strategies that will help you become more valued in a crowded and competitive world—not in a superficial way or just for its own sake—but for what matters most to you and to the most valuable people (MVPs) in your life and work. Are Your MVPs Getting What They Need? How do you become admired, either as a leader, a worker or even as a person? 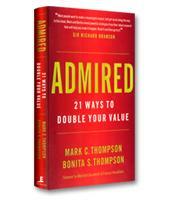 According to Mark Thompson and Bonita Thompson, co-authors of Admired: 21 Ways to Double Your Value, the secret is to give value — and specifically to give your MVPs, the most valuable people in your life, what they value most. The authors tell the story of Margaret, a personal trainer who was more focused on working with customers out on the floor than sitting at her computer answering emails from her boss. However, responsiveness was something that her boss valued highly. Eventually, she was given a smartphone to be able to answer quickly when her boss had an urgent question or request while still being able to focus on her customers on the floor — thus fulfilling what she valued most while responding to what her boss valued as well. This simple example reveals the heart of the book: It’s about them ... but it’s also about you. The key, as the authors reveal through example after example, is to match what you want with what your MVPs want. A small team in a company, although passionate about the company’s product, consistently missed its goals. 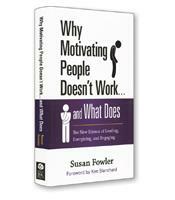 When the authors were asked by the head of the team, Susan, to sit in on the team’s staff meeting, they saw that some of the company’s goals (such as the dreary task of writing technical instructions) didn’t motivate team members. The authors had a suggestion: Since one team member loved video production and editing, why not assign her the task of making video instructions? Today, this task is no longer a drag on product development — and Susan is admired for her team leadership. As promised by the subtitle, the Thompson’s offer 21 specific tools to help readers become admired. The tools, developed from original research into the traits that people admire in others, are grouped into six categories. The first category is Action. To be admired, the authors write, you have to be proactive. One of the unexpected tools in this category is "Guilt is good." 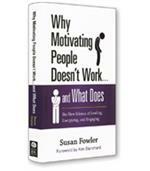 According to the authors, guilt pushes people to get something done. The disastrous first flight of Virgin Atlantic, in which one of the plane’s engines exploded, pushed Richard Branson even harder to make the airline a success. The second category of tools to increase one’s value is Develop. Among the specific tools in this category are "Start Where You Are," "Invest in Yourself" and "Be Misunderstood" — the latter tool referring to the willingness to be misunderstood in the short term. No one, for example, could understand why Amazon founder Jeff Bezos didn’t try to turn a profit in the company’s early years. What’s important, write the authors, is to keep focused on the long-term value. The other four categories of tools are: Measure, which focuses on goal setting; Innovation, which is to be creative in helping your MVPs find value; Recruit, which not only covers the importance of hiring those who can address your weaknesses, but also explains how to prepare your MVPs to face challenges on their own; and Excite, which offers tools on how to engage yourself and your MVPs. At the end of each of the 21 tools is a list of steps for applying that tool. In addition to research surveys, the authors also interviewed 500 of the world’s most successful people — from the legendary entrepreneur Branson of Virgin to actor Sally Field and musician Quincy Jones. The scores of personal stories support the realistic and practical tools for success offered in a book that follows its own advice: delivering value to the authors’ MVPs, the readers.